The BUCS Team Racing Championship involves over 500 sailors competing on behalf of their universities at ‘Qualifiers’ (four venues in each of four 'Areas' of England and Wales in early February and, in Scotland, at three ‘League’ weekends between November and February), Playoffs in early March (to enable some additional teams to qualify for Finals) and then Finals - held in late March or early April. Details of the 2019 Championships, including all Notices, SIs, documents, entry information are published here, together with other information and news. 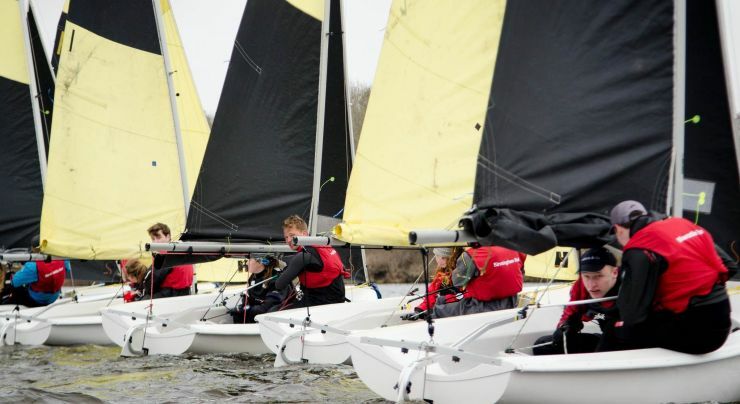 The 2019 Team Racing Championship is organised on behalf of BUCS by BUSA. 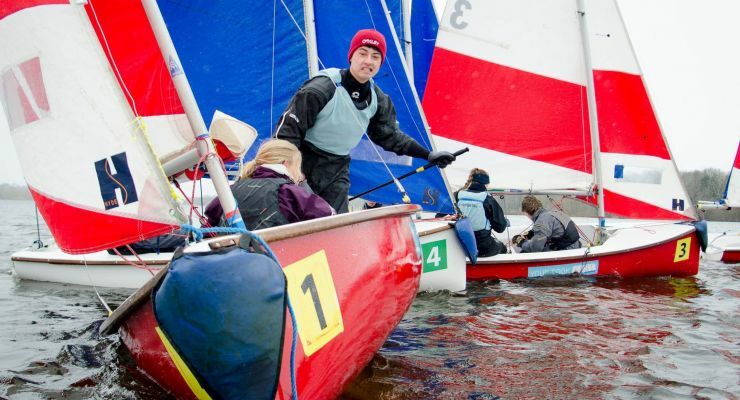 The events will be hosted by university sailing clubs. All Race Documentation, Notices and other information, including Entry and Pre-Event Information and Entry Information (to be made via BUCScore) are posted here, as will be the SIs and any Notices of Amendment to the NoR or other official documents and information. Any enquiries to the Organising Authority should be addressed to the BUSA Secretary. or by telephoning 02380 604 167. New posts will be noted toward the top of this page. All official documentation is listed and accessible at the bottom of the page. 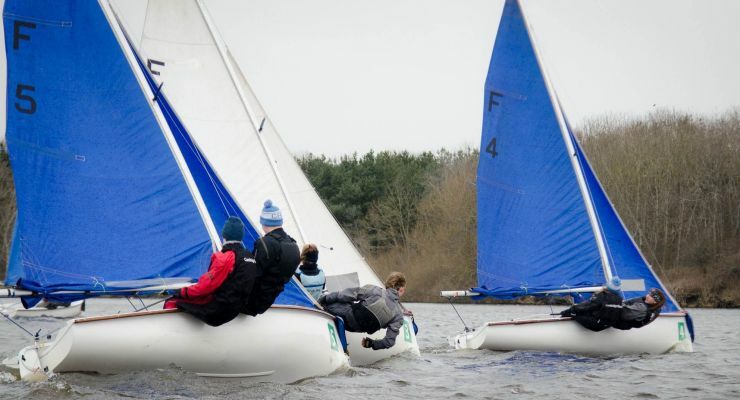 BUCS Team Racing Championship 2019 Finals was underway at 10am Tuesday 9 April. News, videos and photos are being posted by our Media Team on the FB Event page - BUCS Team Racing Championship 2019 - @BUSAStrChamps2019 and on BUSA Sailing Twitter - @BUSASAILING and on Instagram: @BUSAMedia. Keep checking ksail for Results:on line. BUCS Team Racing Championship 2019 Finals is underway. News, videos and photos are being posted by our Media Team on the FB Event page - BUCS Team Racing Championship 2019 - @BUSAStrChamps2019 and on BUSA Sailing Twitter - @BUSASAILING and on Instagram: @BUSAMedia.#BUSATRCHAMPS2019. Keep checking ksail for Results:on line. All institutions participating in BUSA/BUCS events are required to be members of BUSA. It is the responsibility of either the individual or institution to ensure that all entrants have appropriate insurance in order to compete. BUSA and BUCS DO NOT insure any competitor for any of their events. Registration will be open on Tuesday 9th April between 0800 and 0900 at Spinnaker Sailing Club. The registration desk will be signposted. All competitors must attend registration and produce their university registration / matriculation cards to prove their student status. NUS cards WILL NOT be accepted as proof of eligibility to compete. The Competitors’ Briefing will take place at 0915 in the marquee at Spinnaker Sailing Club.. The Draw for the first round of the Swiss League will be made on Monday the 8th. The Schedule of races will be published online through KSail.Race Results will be updated live online throughout the event. Updates will also be made on twitter using @BUSASAILING and on the event Facebook page - BUCS Team Racing Finals 2019. Sailing Instructions will be posted online prior to the event and on the Official Notice Board on Monday the 8th onwards. Competitors are reminded that, as well as Buoyancy Aids, Wetsuits or Drysuits will be required. Sailing is a non-contact sport where damage to people, boats and equipment is generally avoidable. Teams notice is drawn to Appendix B of the Notice of Race which explains the system for charging for any damage to boats and equipment. All competitors should also be aware that recompense for any damage caused to Club property will be the responsibility of the individuals and team(s) concerned. Official Communications from the OA and Race Committee may also be circulated in an events Whatsapp group.Captains will be sent a link to sign up to the group. Please see the BUSA website Championship Page for further documentation. NB also see Spinnaker Sailing Club Information. Notice-of-Amendment_TeamChangeRestriction - applies to team changes for the postponed Western Qulaifiers. Final Results for Midlands, Northern & South-Central Qualifiers - issued by the Technical Delegates at 21:00 on 06-02-19 (invitations to Captains for those qualifying for Playoffs and Finals will be sent to Captains shortly).